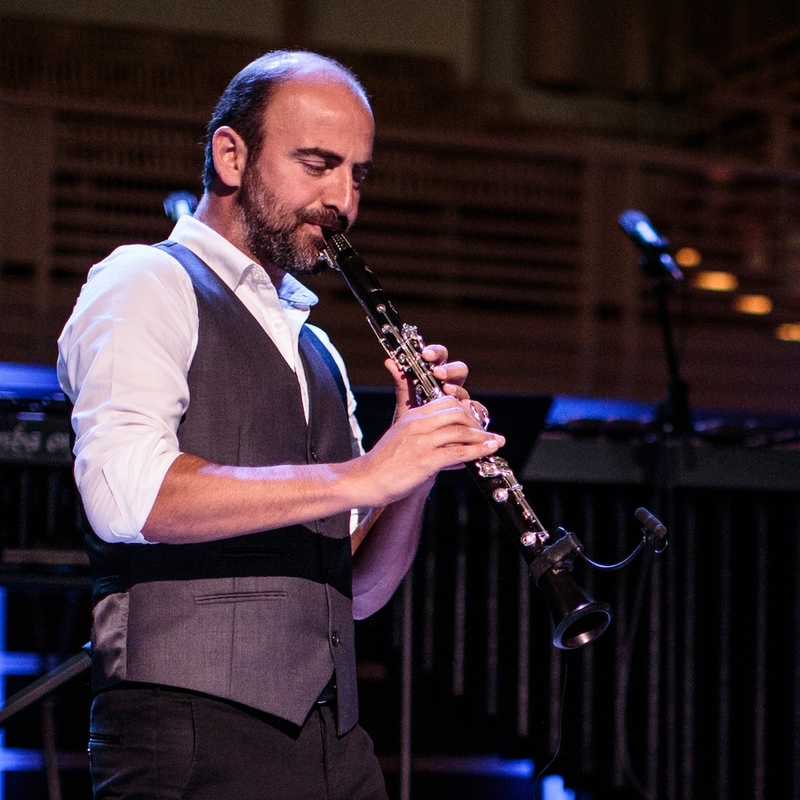 Clarinetist Kinan Azmeh was trained in his native Damascus and is a graduate of New York’s Juilliard School and the City University of New York. He has won international acclaim as a composer, performer, improviser, and recording artist in a wide range of musical genres. His discography includes three albums with his ensemble HEWAR; soundtracks for film and dance; a duo album with pianist Dinuk Wijeratne; and an album with his New York Arabic/Jazz quartet. Azmeh also champions the contemporary music of Syria as artistic director of the Damascus Festival Chamber Music Ensemble.